The last of the three color boxes I have is the Electric Brights box! This was, by far, the most disappointing Memebox I have ever gotten. The products were just so lacklustre, and I was expecting this box to be pretty good, you couldn't really go wrong with this theme. Except Memebox did. 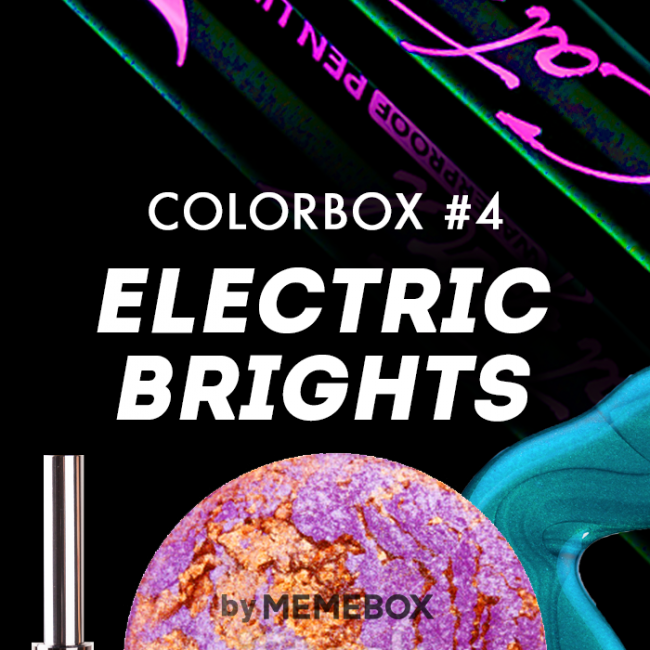 Memebox says: "This multi-pigment cream comes in a variety of different colors ranging from gold, purple, emerald, green, white and pink to this deep cobalt blue, which can be used as an eyeliner, a shadow and a lip color all in one. 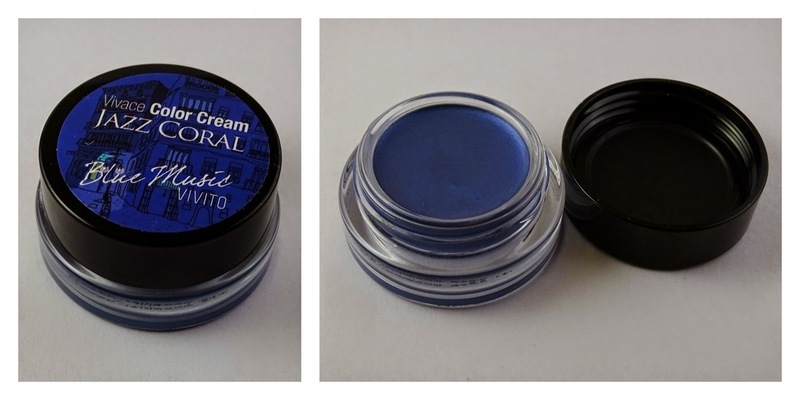 The beautiful blue pigment glides on smoothly onto skin with a silky texture, completely waterproof and smudge-proof, and shimmering with subtle pearls and vibrant vividness." This pigment is really pretty crap. While it is really smooth and glides on nicely, it's not pigmented AT ALL. It's so sheer, and you really have to build it up a lot to get some sort of colour. It;s such a shame too, since the colour in the pot is stunning! Memebox says: "Again, one of the Vivace Color Creams in a lovely Funky Rock Pink. This lovely pink color is also a multi-player and can be used as an eyeshadow, a blusher, and a lip color. 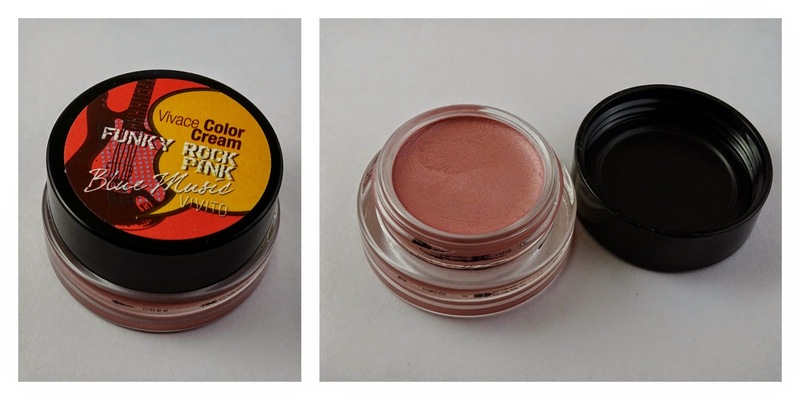 The creamy pink pigment glides on smoothly onto skin with a silky texture, completely waterproof and smudge-proof, and shimmering with subtle pearls and vibrant vividness." This one is also pretty useless. It's just the tiniest bit more pigmented than the blue, but you still have to build it up a lot to get the colour. Memebox says: "This Blues Shiny primer coats over skin with a velvet-like veil which preps skin with both moisture boost and natural coverage needed to create the perfect dewy, radiant complecion. I also firms the skin and enhances the lasting power of makeup to follow." I haven't gotten a chance to properly try this out yet, but I do think this doesn't fit with the theme at all. It's a primer, not exactly something you'd expect in a box promising brightly coloured makeup. Memebox says: "This White Angel Chorus Beam is your ultimate base for dry, dull skin - containing shimmering pearls for extra-refined glamour and elegance as well as youthful suppleness. It color-corrects an uneven complexion, and will also match your skin color perfectly when used together with your favourite foundation or BB cream." Another product that doesn't fit in with the theme at all! It's also really sheer, and when you blend it in, it disappears completely. Overall, this box is just really bad. The two products that fit the theme are not pigmented at all, and then there's two products that just don't belong in the box at all. I think I'm going to be be taking a break from Memebox for a while, and maybe only get the brand boxes like the Etude House or the Tony Moly ones. American Beauty Haul Part 2: Drugstore!